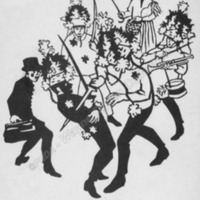 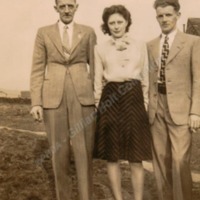 Back Row, Left to Right: Tom Pettingell; Joe Howarth; Roderick Fisher; Albert Mitchell. 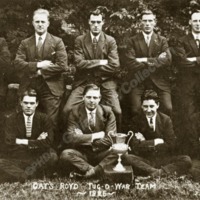 Front row: Jack Wilkes; George Hayes; Verney Sykes; Harold Fielden. 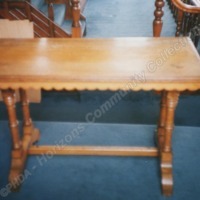 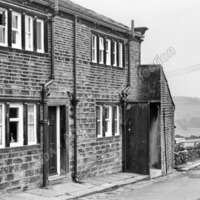 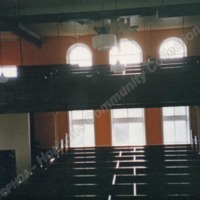 Site of the pulpit in the centre and the choir pews being dismsntled in 1994.
http://www.penninehorizons.org/Omeka_photos/HCC00115. 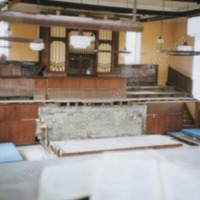 The pulpit, choir pews and organ during course of being dismantled in 1994. 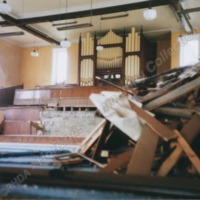 The body of the Chapel whilst in course of dismantling. 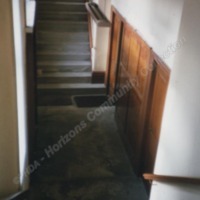 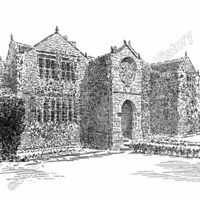 The entrance door on the left with the steps up to the Chapel which as on the first floor. 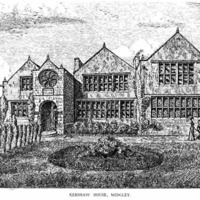 Looking up to the rear gallery. 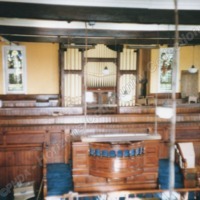 Interior of the chapel following closure. 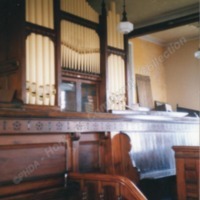 The organ and choir pews. 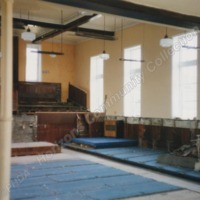 Interior of the chapel following closure. 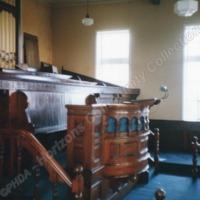 Looking towards the organ and pulpit; the stairs to the right ran down to the vestry. 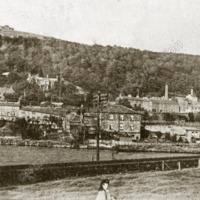 Postcard with July 1972, Exeter, postmark. 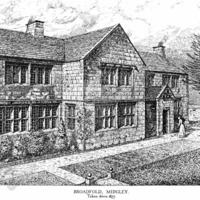 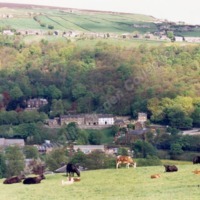 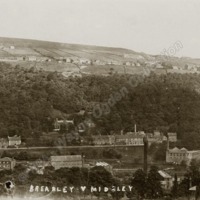 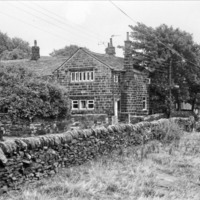 Undated postcard of Brearley in the valley bottom and Midgley on the hillside above. 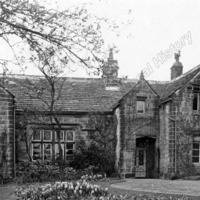 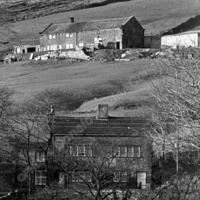 Brearley House can be seen amongst the trees in the centre but the mills have now gone. 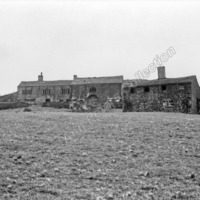 The timber framed and stone-clad Cliffe Hill barn probably dates to the early 17th century with late 18th century alterations. 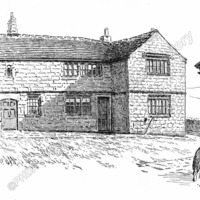 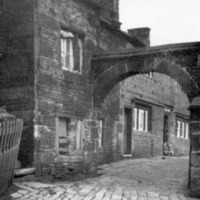 The archway is circa 1700, and the farmhouse has a date stone “INMN 1601”.